Thanksgiving has always been viewed as the holiday where you indulge, or overindulge, to be precise. 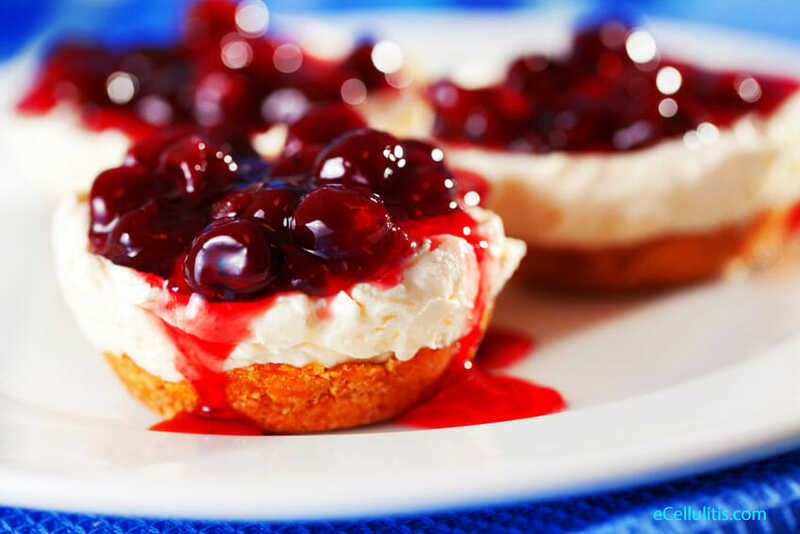 But this year you can include dishes filled with delicious frozen fruits and still satisfy your sweet tooth. Moreover, as winter approaches, fresh food is becoming limited or expensive and many start to turn to frozen food. It’s easy to find it and it will not break your budget. But many questions are raised. Is frozen food healthy? Does it provide good nutrients? Which frozen food should I buy? But here’s the thing. In 1924, Clarence Birdseye invented two freezing methods, one of which we use today to produce the food we eat. This is the truth. Some food loses flavor and vitamins when frozen, but freezing is a good way to keep the initial quality of the food and to preserve its nutritional value and texture. Moreover, if food was fresh at the time of freezing and grown in a quality way (think organic), frozen food can be quite high in nutrients. On the other hand, frozen dinners and frozen food have a bad reputation and for a good reason. Saturated fats are common in frozen meals, and if we eat it often, we can gain weight or have certain health issues. We often think about heavy processing, artificial ingredients, and additives when we think about frozen meals. But if you read labels or freeze your own food, which is what I do, you might be surprised to find out that in fact frozen food is healthy and good for numerous reasons. Why is frozen food healthy? 1. Frozen food is picked at its peak. When you buy fresh vegetables and fruits, they may not have been ripe when picked, but rather harvested days before and past its peak, which gives them less time to develop a full spectrum of vitamins and minerals. 2. The freezing process suspends enzyme activity which means food can be stored for several months without losing quality and without being spoiled. 3. When food is frozen, we can say that it’s safe, because the freezing process suspends fungal and microbial activities. 4. When you freeze your own food, you do know what ingredients you have used in the process. 5. The blanching process that occurs before freezing is associated with nutrient loss. During the process about 25% of the vitamin C and about 10% of thiamin are lost during the process. But these percentages are general and are different with different foods. Moreover, the loss cannot outweigh the amount of the vitamins retained in the frozen food. 6. One study evaluated nutrient content of eight commonly frozen fruits and vegetables: blueberries, strawberries, carrots, corn, broccoli, green beans, green peas and spinach, and revealed that the nutrient level of these frozen food is generally equal to their fresh counterparts, in some cases even better. 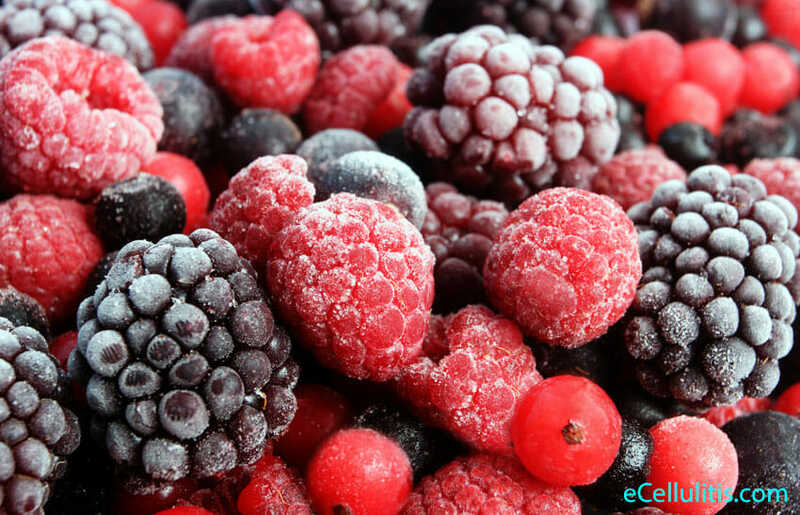 The study found that freezing has a beneficial effect on the vitamin E content in frozen fruits and vegetables as compared to fresh. The nutrient value of calcium, magnesium, zinc, copper and iron, and fiber are also well-conserved in frozen fruits and vegetables. Which food tasted amazing when frozen? What is your first thought when someone mentions grapes? Grapes are nutrient-dense fruit. Frozen crimson, black, dark blue, yellow, green, orange or pink grapes taste twice as better as the fresh ones, and offer numerous health benefits. Nutritionists recommend frozen grapes as a healthy snack because they offer a good amount of protein, calcium and vitamin C, E and A. One cup of frozen red or green grapes has 1.2 grams of protein, 16 milligrams of calcium, 0.58 milligrams of iron, 0.3 milligrams of niacin and 0.1 milligrams of riboflavin. The major difference between frozen red and green grapes is the antioxidant found in red grapes, resveratrol. Jamie Oliver shares this simple recipe for a delicious dessert that is great for after dinner! Known as the fruit of the wise men, bananas are one of the healthiest fruit and the best option if you need to raise intake of potassium, with over 400 mg of potassium in a single medium-size banana. One banana provides 10 mg of vitamin C (15 percent of your daily recommended amount), 3 mg of manganese, 3 grams of fiber, and is naturally without fat and cholesterol. The easiest way to add frozen banana into your diet is through smoothies. Freeze bananas without peel and you can use them as a healthy replacement for ice cream. Try this delicious dessert – frozen chocolate covered bananas!